While in Florida last month we spent a day at the Kennedy Space Center Visitor Complex. 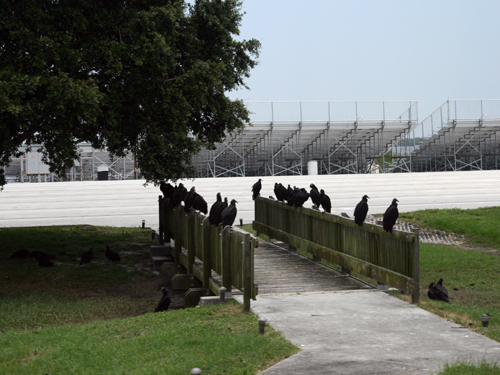 It was all about astronauts, rockets and space exploration that day, but we did see these Black Vultures hanging out by the family/press bleachers. They would’ve had the best seats for the launch, if it hadn’t been scrubbed. 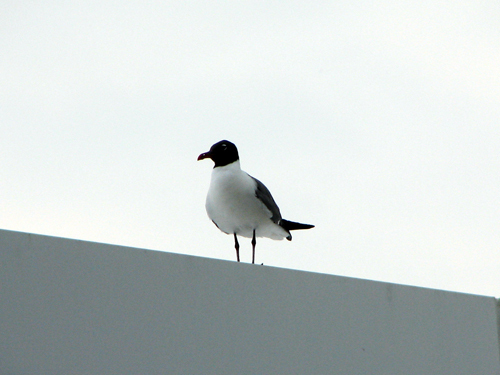 And we saw this Laughing Gull back at the complex, standing close to a digital sign that gave updates on the launch status. Sure, you’ll be at Kennedy for the next launch window (July 11), even if we aren’t. What are you laughing at?